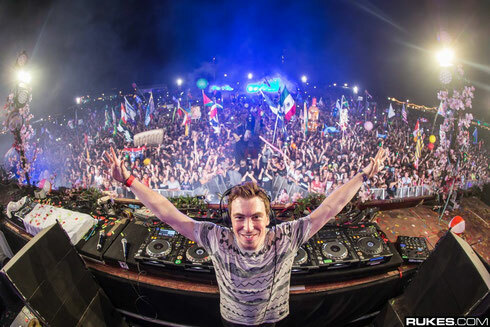 TomorrowWorld announced today that two-time #1 DJ in the world, Hardwell, will be the first headliner of the festival's third edition. After the 2015 stage curators announcement was made earlier this year, Hardwell is confirmed to be headlining his own Revealed Stage at this year's festival and is the first of 13 headliners that will be announced ahead of the festival's entire lineup. In his announcement video, the Dutchman also reveals that TomorrowWorld 2015's theme is "The Key To Happiness," and each successive headliner announcement video over the coming weeks will unveil more to what this year's festival theme entails. The full announcement regarding Hardwell as the first headliner of TomorrowWorld 2015 can be read over at Mashable: bit.ly/mshbl-tmrwwrld; and you can watch the TomorrowWorld 2015 first artist announcement video below.